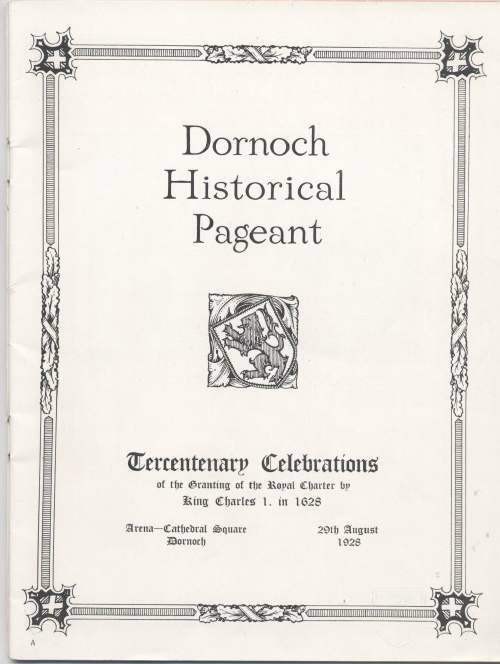 Booklet entitled "Dornoch Pageant, August 1928, with programme of events celebrating the Tercentenary of the granting of the Charter by King Charles I in 1628". List of organisers and participants plus synopsis of storyline. 24 pages stapled in pink and black covers.